The new Web Console is now the default for all users. See the Overview here. The Filter Bar has been moved to the upper header to better scope the working set of crashes and errors that users want analyze. 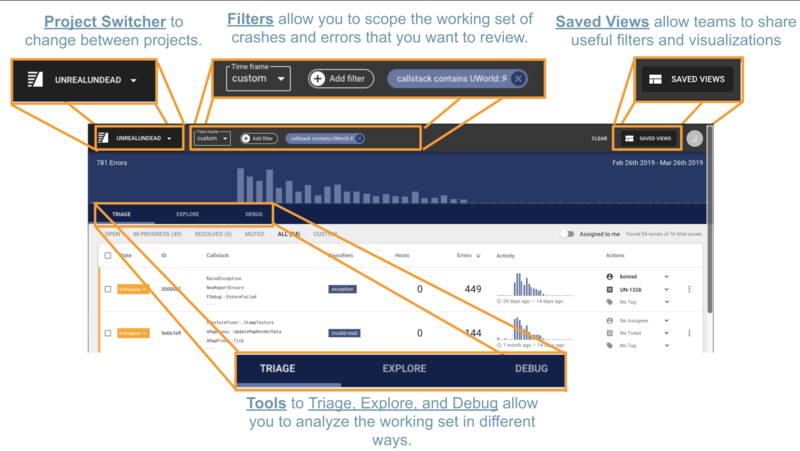 The Result Set in the Triage view has been made more compact. The Details view of a fingerprint (via Triage) now includes default attributes to analyze and a list of all occurrences of a fingerprint. 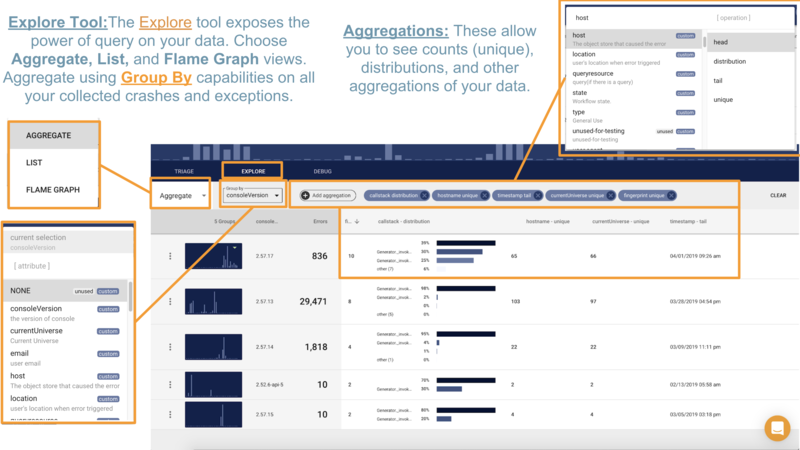 The Explore tool now provides Aggregate, List, and Flame Graph views. Customers on the Enterprise plan can now configure their SAML configuration under Organization Settings. 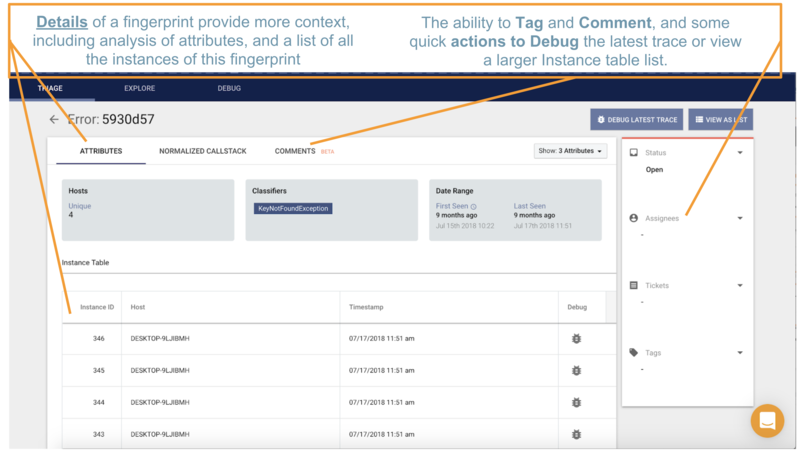 When viewing the Details of a Fingerprint in the Triage view, a user can view list of comments associated to a fingerprint, and can create new / edit their comments. Users can choose to have the new Web Console be their default using the Set As Default button after they login. This setting is also available under Organization Settings / My Account / Early Access toggles.